In the run-up to the release of ‘Do Angels Need Haircuts? 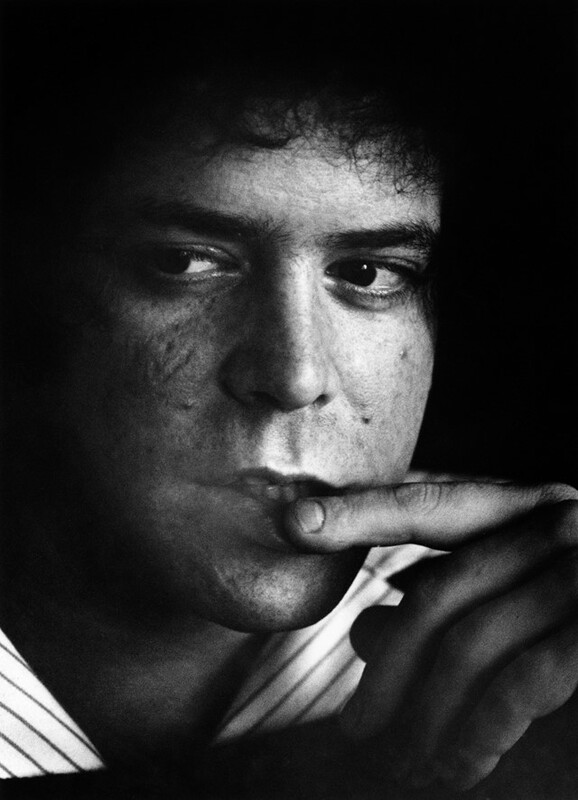 Early Poems by Lou Reed’, we explore the music icon’s gift for penning verse . In August 1970, when he was 28 years old, Lou Reed quit The Velvet Underground and moved back into his parents’ home in Long Island, where he stayed for the better part of a year in seclusion to write poetry. He vowed never to play rock and roll again and focussed on writing verse which eventually found its way into the pages of Rolling Stone, in addition to smaller poetry zines like The Harvard Advocate, The World, Fusion, The Unmuzzled Ox, and Cold Spring Journal. “I’m a poet,” Reed publicly declared on March 10th, 1971, as he took to the stage of the Poetry Project at St. Mark’s Church, New York. Standing before the likes Allen Ginsberg and Ted Berrigan, who smiled in support, Reed recited a selection of new poems along with the lyrics by The Velvet Underground. Six months later, Reed began recording Transformer, his debut solo album produced by David Bowie and arranged by Mick Ronson. But his time away from the limelight was not in vain for it had solidified Reed’s gift for penning lyrical verse that lived on the page – and sometime later in song. In 1974, Reed compiled All the Pretty People, a book of poetry that was never published. It is only now that his verse has been unearthed, collected, and released in Do Angels Need Haircuts? Early Poems by Lou Reed (Anthology Editions, May 1). The book includes 7” record of the 1971 live reading along with a foreword by Anne Waldman, an afterword by Laurie Anderson, archival notes by Don Fleming, and photographs by Mick Rock. Here, Fleming provides a five-point guide to the poetry of this music icon. Where did All the Pretty People go? Poems from All the Pretty People featured in Do Angels Need Haircuts? include Lipstick, Force It, Whiskey, Bad Trip, Do Angels Need Haircuts?, Since Half the World is H2O, The Murder Mystery, and a slight variation on He Thought of Love in the Lazy Darkness. There are Lou Reed acoustic demos, recorded in 1970 shortly after he left the Velvet Underground and moved back to Coney Island to live with his parents. There’s a lot of analysis and information on these demos; search and you shall discover. “So in Love” is exclusive, here. A song never revisited. Now, recordings from those shows will be released as a four-disc box set, The Velvet Underground: The Complete Matrix Tapes. released November 20th via Polydor/Universal Music Enterprises, the collection compiles 42 recordings, including nine previously unreleased tracks. 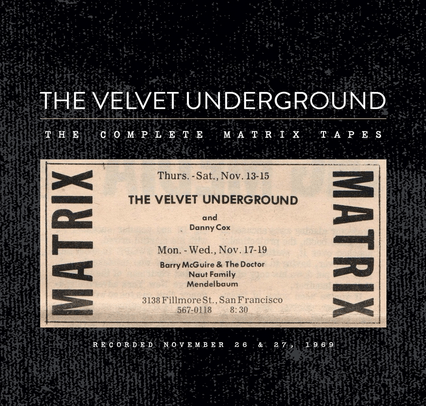 According to a press release, The Velvet Underground: The Complete Matrix Tapes focuses on two gigs in November 1969: November 26th and November 27th (Thanksgiving). 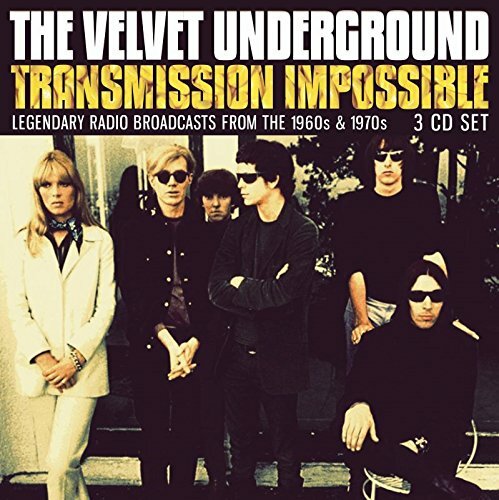 Many of the collection’s tracks have been released before, on the 1974 release 1969 The Velvet Underground Live, on 2001’s Bootleg Series, Vol. 1: The Quine Tapes, and last year’s Super Deluxe Edition of the self-titled album’s reissue. However, this marks the first time all of the tapes will be available commercially as a single release. The collection’s highlights include previously unreleased versions of “Some Kinda Love”, “Sweet Jane”, and “After Hours”, among others. Find the entire tracklisting below. Rolling Stone editor David Fricke wrote the liner notes for the new collection. 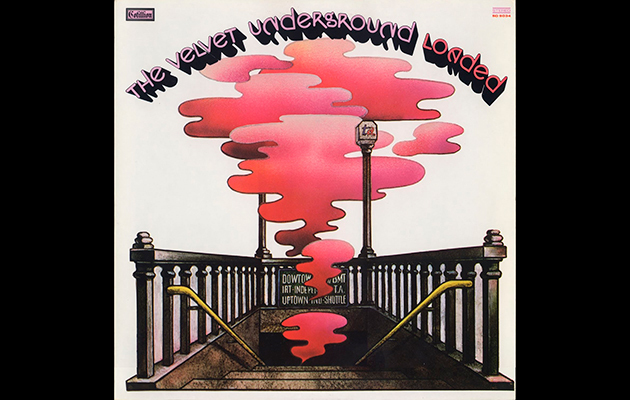 The Complete Matrix Tapes isn’t the only Velvet Underground release coming soon; the 45th anniversary edition of Loaded is due out October 30th. 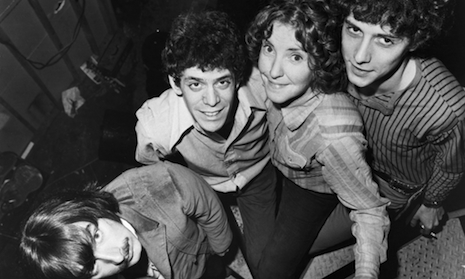 You would think that by now—after fifty years—the cupboard would be getting pretty bare when it comes to unreleased Velvet Underground material, but that’s simply not the case. Despite the incredible amount of material made available for the first time on legit releases in recent years via UMe’s Super Deluxe packages, there is still even more to come. And not just a little, but a lot of primo vintage VU white light, white heat recorded in high fidelity. Two-to-three-minute excerpts of nine of these tracks and a seven-minute excerpt of “Sister Ray”—all starting at the beginning of the songs, and fading out mid-performance—that have leaked into circulation verify that the sound quality on these recordings is outstanding, and notably (though not hugely) superior to the tapes used on 1969 Velvet Underground Live. Of even more interest, the performances themselves are good-to-superb, including a version of the rarely-heard “There She Goes Again” with noticeably more jagged rhythm guitar than the studio cut; “I’m Set Free” with magnificent Reed lead vocals; a really slowed-down “I’m Waiting for the Man” with great curling blues guitar riffing, and a cool interjection of ominously stroked chords right after the white boy’s asked what he’s doing uptown; and a “Sister Ray” that starts off super-slow and bluesy, but just keeps accelerating in rhythm and intensity until the tape cruelly cuts off. 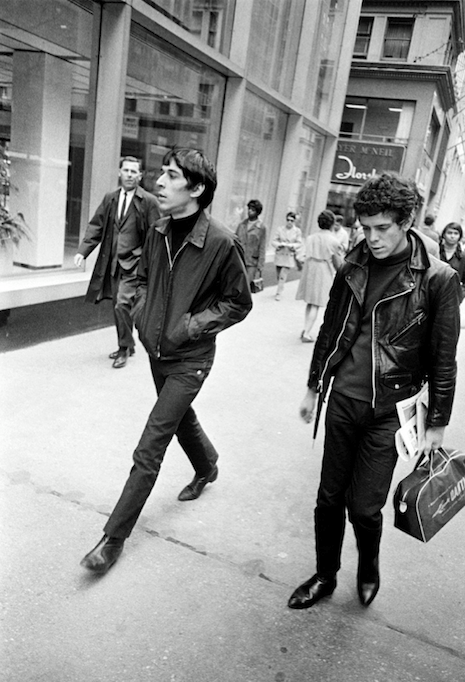 If not quite as novel, the other excerpts—including “Ocean,” “Some Kinda Love” (introduced as “an alcoholic’s dream”), “The Black Angel’s Death Song,” “After Hours,” and two versions of “Venus in Furs”—likewise make the Velvet Underground fan yearn for the day when these tapes can be released. To celebrate 45 years of this ground-breaking record, and to pay tribute to the late Lou Reed, Sydney’s Montes Jura have curated a full-length cover album of The Velvet Underground featuring their favourite local acts. The album will be reloaded by: Upskirts, The Pinheads, Salvador Dali Llama, Burn Antares, The Grease Arrestor, Raindrop, Bad Valley, Dluna, Lizzy Cross & The Infinity Snake and Montes Jura. The cover album is slated for release Tuesday, October 27 as a free download via Bandcamp. They’ll be celebrating its release with a launch party at the Factory Floor on Saturday, November 7th. See live performances from: Upskirts, Salvador Dali Llama, Raindrop, Burn Antares, Bad Valley, Dluna, Lizzy Cross, & Montes Jura as they honour arguably the most influential band of the 60s. The 10 Sydney pysch bands unite to pay tribute to The Velvet Underground’s seminal record release Loaded Its almost been 45 years since the legendary Velvet Underground record “Loaded” was released. To celebrate, 10 psych bands from Sydney and Wollongong have banned together to pay tribute, each one covering a Velvet Underground classic to be put on a compilation appropriately titled, “Reloaded”. From the opening feel-good hit ‘Who Loves the Sun’, right through to the final ‘Oh! Sweet Nuthin’’, every word, melody and groove is experienced as if for the first time and the 100th time. Asked by Atlantic Records to produce an album “loaded with hits,” The Velvet Underground set out to distance themselves from their Andy Warhol-inspired days to take the leap into radio-ready hit singles. The end result was not only a commercial success, but a blue print for the future of rock and roll. To celebrate 45 years of this ground-breaking record, and to pay tribute to the late Lou Reed, Sydney’s Montes Jura have curated a full-length cover album featuring their favourite local acts. The Album will be reloaded by: The Upskirts, The Pinheads, Salvador Dali Llama, Burn Antares, The Grease Arrestor, Raindrop, Bad Valley, D’luna, Lizzy Cross & The Infinity Snake and Montes Jura. The cover album is slated for release Tuesday, October 27 as a free download via Bandcamp. The compilation will be released via Bandcamp as a free download on October 27th – the anniversary of Lou Reed’s death. And as a massive celebration of all things Velvet Underground, the bands will be throwing a tribute party at the Factory Theatre on November 7th. Performing will be, Upskirts, Salvador Dali Llama, Burn Antares, Bad Valley, D’Luna, Raindrop, Montes Jura, Lizzy Cross plus The Grease Arrestor DJs. Tickets go on sale Wednesday 2nd September and can be purchased from the Factory’s website. •Stereo and surround mixes of the original Loaded album on DVD. 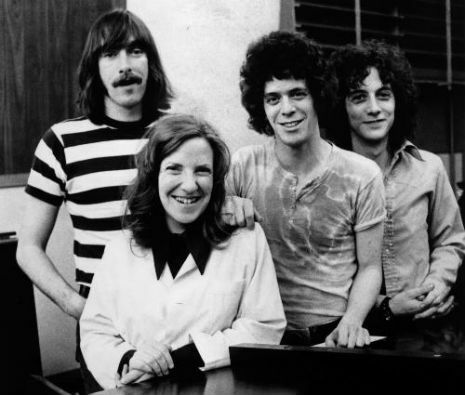 By the time of the original release of Loaded on Atlantic Records’ Cotillion imprint in November 1970, Lou Reed had already departed The Velvet Underground. But the album contains some of his most beloved songs for the band including “Sweet Jane” and “Rock and Roll.” With the increased participation of Doug Yule (including on the lead vocals on four songs) and without the credited Maureen Tucker, who was pregnant at the time of the album’s recording, Loaded has a very different – and unabashedly commercially-oriented – feel than its predecessors in the group’s catalogue. 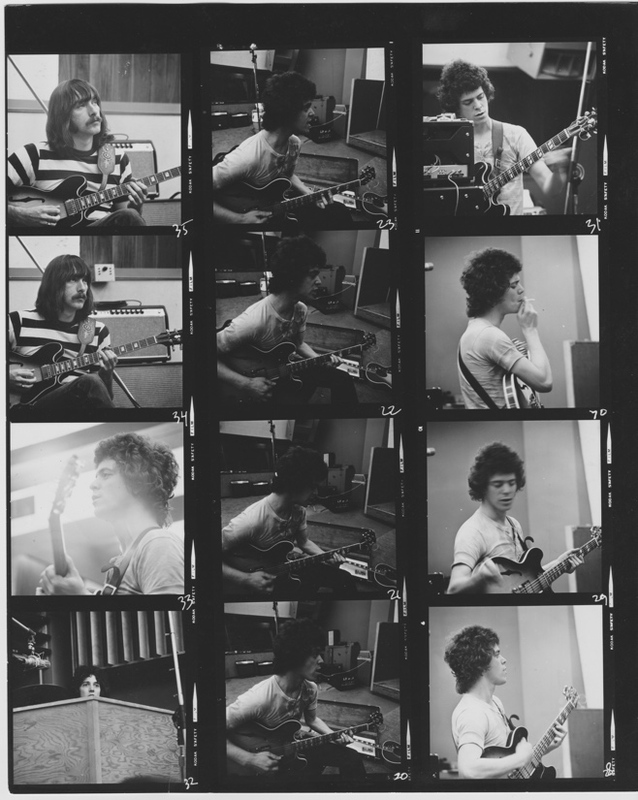 (VU guitarist Sterling Morrison does play on the record. Guest drummers including Doug Yule’s brother Billy subbed for Tucker.) Remastered stereo and mono versions of the album fill out the first two discs, along with various outtakes, and the mono mix for the unissued single: “Rock & Roll” b/w “Lonesome Cowboy Bill.” The third disc explores the creative process behind many of the songs on the album with more than 20 demos , early versions and alternate mixes. An unreleased club performance feature on the fifth disc. It was recorded on May 9th, 1970 at the Second Fret in Philadelphia. 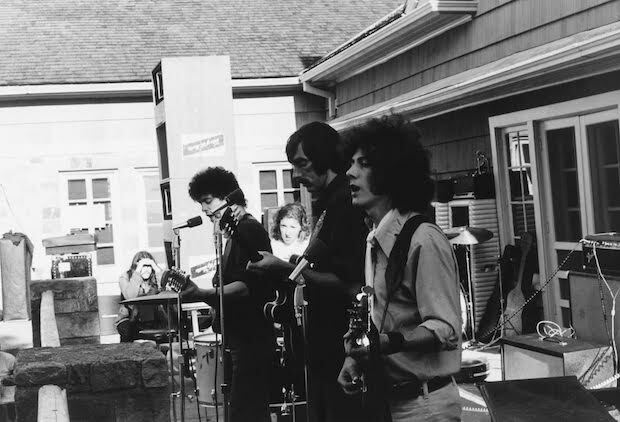 The band was down to a trio that night: Lou Reed, Sterling Morrison and Doug Yule, who alternated between bass and drums to fill in for Moe Tucker, who was pregnant at the time. Loaded, which came out six months after the show, is well represented with seven songs, including: “Cool It Down,” “Oh! Sweet Nuthin’” and “Sweet Jane”. In 1997, Rhino Records released the Fully Loaded 2-CD reissue, with 23 outtakes, demos and alternate mixes. This release forms the basis of the additional material on Disc Three of Re-Loaded, with the outtakes appended to Disc One and the single versions (including two previously unreleased mono single mixes) on Disc Two. Note that, per Rhino, for the surround and stereo downmix on the DVD, the original album track listing has been slightly re-sequenced to include the segue originally planned for “I Found a Reason/Head Held High.” The press release also indicates that the album’s surround mix (the first surround release for the Velvets) will be playable in DTS and Dolby Digital.